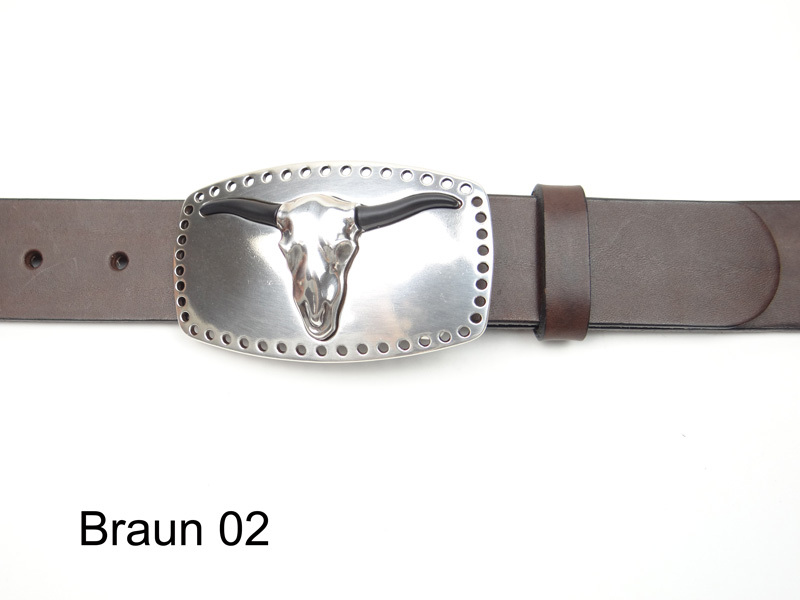 Buy leather belt with bulls skull buckle online. 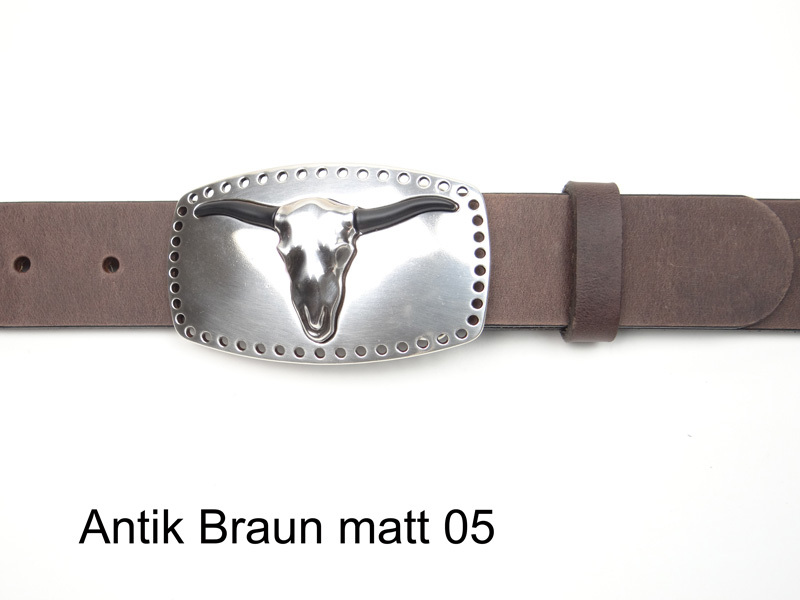 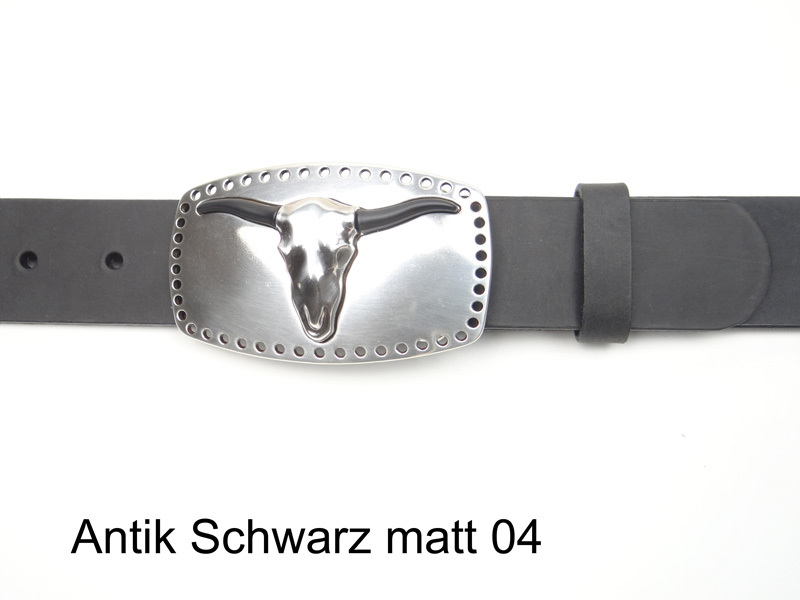 4 cm wide leather belt with a high quality, silver-plated bulls skull belt buckle. 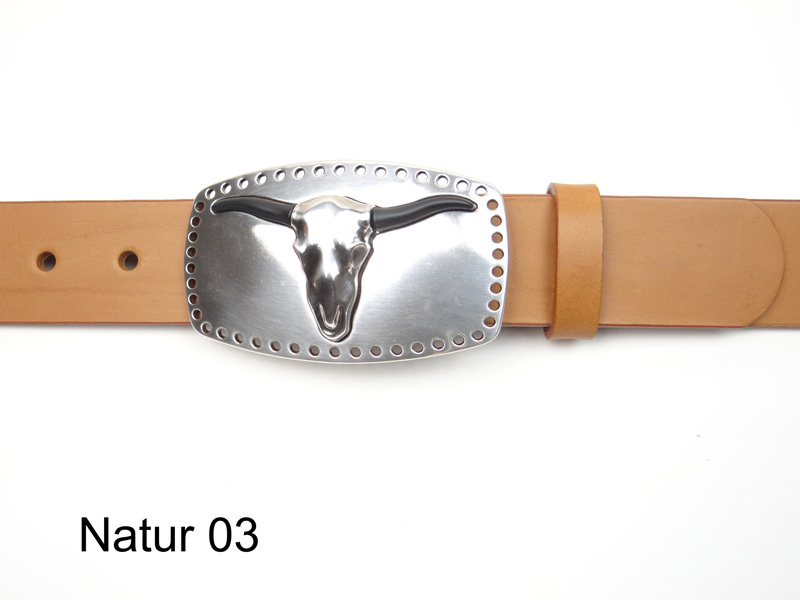 For our belts we use only naturally tanned, through-dyed saddler quality cowhide. 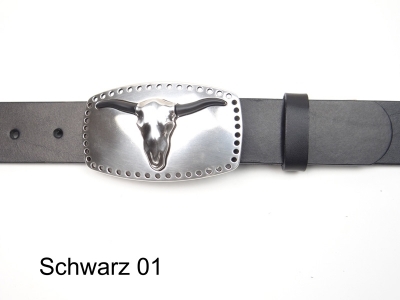 The belt buckle is approx. 9.5cm wide and approx. 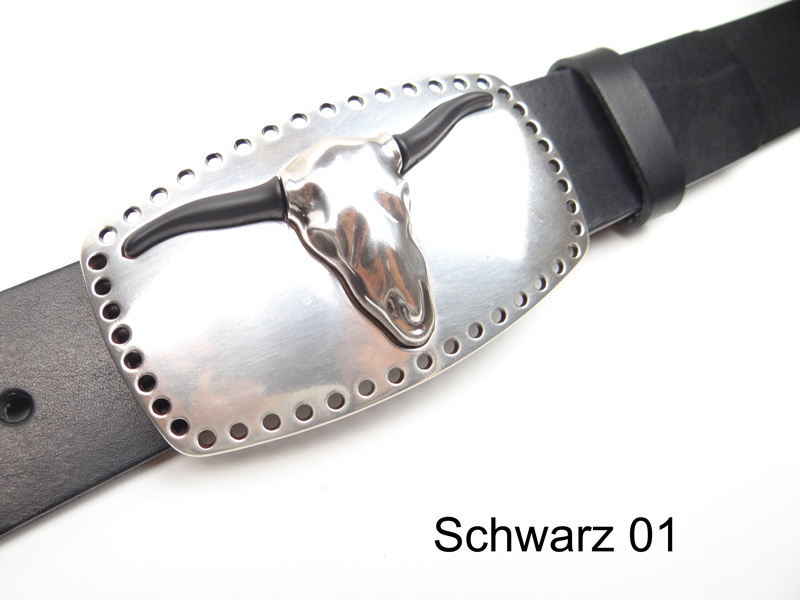 5.8 cm high.